Glen Oaks legend Tom Soper will be inducted into the college’ s Athletic Hall of Fame on Saturday, Feb. 23. The induction will take place between the Viking Women’s and Men’s basketball games against Muskegon Community College at about 2:30 p.m. at Ken Schuler Court (gymnasium) on the campus of Glen Oaks Community College. Soper began his career at Glen Oaks in 1967 as one of the first faculty members at the college. He coached some of the first athletic teams including cross country. As an English instructor and coach, his positivity was said to be infectious to all those around him. His focus was on his students—preparing them to move forward in their careers and lives. An active runner himself, Soper promoted the physical health of students as well as academic attainment. He is described has having a zest for physical activity, promoting faculty and staff wellness initiatives as well. During a hiatus in 1981 when cross country was no longer a Glen Oaks sport, Soper formed the Viking Striders running club to keep running alive on the campus. It was open to both students and residents in the community. Following a 1986 sabbatical Soper performed at Southeastern Louisiana University to study exercise physiology and employee health assistance programs – he returned to campus and started the Fitness/Wellness Center at the college. 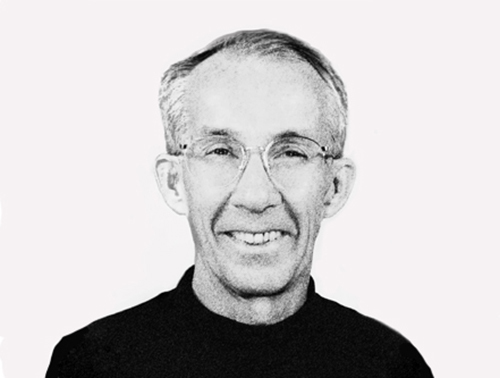 Soper served 32 years at Glen Oaks before retiring in 1999 as acting dean of instruction. Over the years, the Sturgis resident taught English Composition, Journalism, Art Appreciation, and coached running and initiated the Fitness and Wellness classes at the college. Continuing on with running during retirement, Soper completed a number of 5K, 8K, 10K and marathon races in the region. A highlight for him was taking fourth place in the Chicago Marathon Master’s category. Soper earned his bachelor’s degree at Grinnell College, Grinnell, Iowa. He has a master‘s degree from the University of Notre Dame. He and wife, Lucy Zimmerman, who is also a retired Glen Oaks professor, have four grown children.